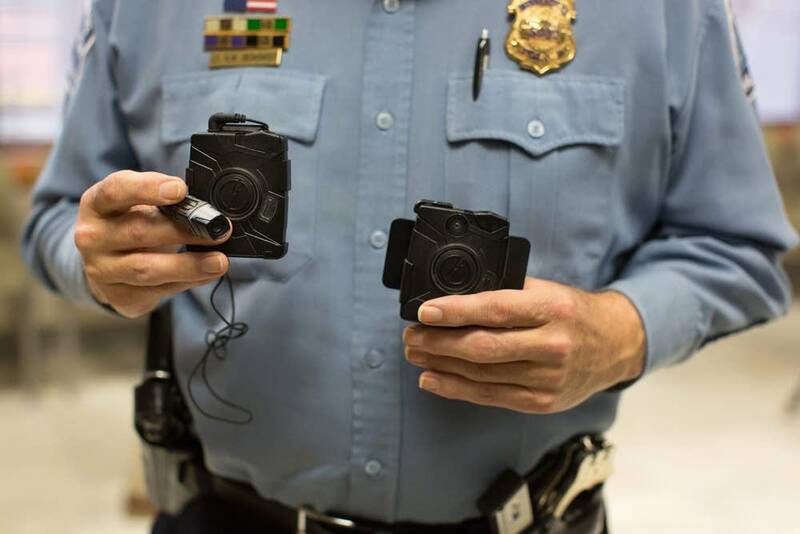 All Minneapolis police patrol officers have been equipped with body cameras as of the beginning of this month, and some city officials are offering anecdotes to show some immediate benefits. City Attorney Susan Segal said video recorded by officers was played for jurors during a recent domestic assault trial, which resulted in a conviction. Segal said the cameras helped the officers investigating the incident get better evidence. "Before body cams, a victim may say, 'Then he did this and then he did that,'" Segal said. "Well now we've got video where the victims can demonstrate, and in this case, did demonstrate what happened to her." It's also possible that footage from cases like this one will be used to train officers on how to investigate future domestic abuse incidents, Segal said. 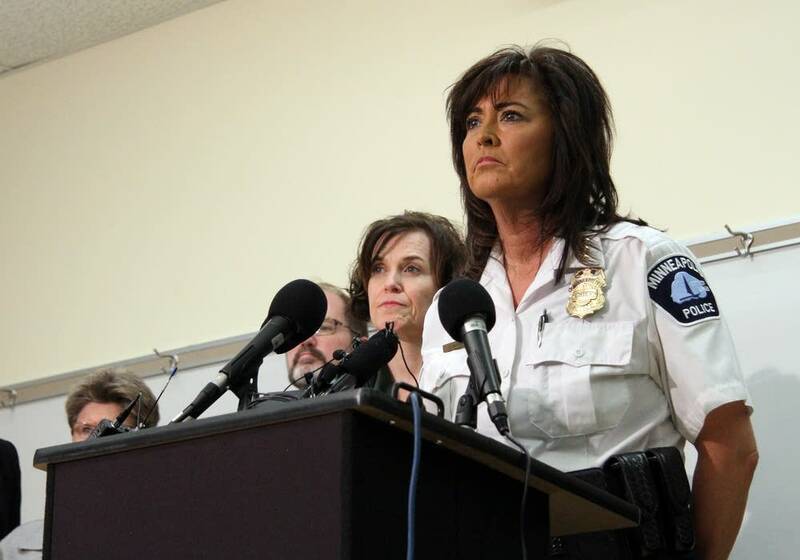 Police chief Janee Harteau said 548 officers wear cameras every day during every shift. And so far, Harteau said, the rollout has gone well since it started in July. "The officers are absolutely using their cameras," said Harteau. "Because we have 55,000 videos which have been recorded and retained. The average video length is 7 minutes. And there is more than 6,500 hours of video that has been recorded." Officer Justin Churchill, who works in the 3rd Precinct in south Minneapolis, said one of the biggest benefits of the cameras is using the footage to write more accurate incident reports. Sometimes, he said, an officer will miss part of a witness's answer to a question. "The great thing about these is we can go back and actually review that and see what details we missed," said Churchill. According to the department's policy, officers are encouraged to review video and audio to ensure the accuracy of their reports. Churchill said the way the cameras are set up, he cannot erase or alter the footage he records. Officers who fail to turn on cameras, misuse the equipment or deliberately damage or alter the equipment or footage "will be subject to discipline, up to and including termination," reads the policy. There are more than a dozen situations in which officers are required to activate their cameras, including all traffic stops, suspicious person and vehicle stops, vehicle chases, and any public contact that involves verbal or physical confrontation. Churchill said he rolls video frequently during calls. He recalled an encounter with a man on the street who was irate and yelling at police officers. When Churchill told the man he was being recorded on video, Churchill said the man calmed down.